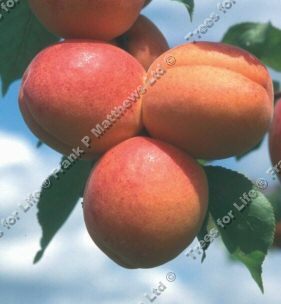 A self-fertile apricot, Tomcot (Prunus armeniaca 'Tomcot') was first introduced in France. Tomcot is a far more reliable than many other Apricots producing masses of flower and delicious, very large fruit with a strong red blush on an orange background. An intense apricot flavour. Fertility: This apricot is self-fertile, so no need for another apricot to act as a pollination partner for it to produce fruit although its yield maybe increased if you do.